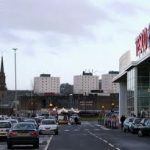 Tesco, largest retail – supermarket chain in the UK, have taken over former Woolworth store at the forge retail park in Glasgow and this take over will create at least 350 job vacancies. 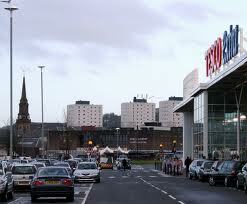 This will be Tesco’s 20th new store in the UK in 2011.
the company say that there will be mobile phone shop, optician, photo – print, a cafe, dry cleaners in the store as well as usual Tesco grocery products. This multimillion project will create 350 jobs for job seekers. Gloria Coats, the corporate affairs manager for Tesco, commented: “As well as a great new store for local people and a jobs boost locally, our plans will bring back to life a unit which has lain vacant for many years. “Our new store will bring the Tesco values of great customer service, value and choice and represents a substantial financial investment in the Forge.